Kick off Nice-Montpellier in Ligue 1 on 22-04 13:00. Referee in the match will be . Team Nice is located in the middle of the table. (6 place). Last 5 games (league + cup) finished balance 8 points. 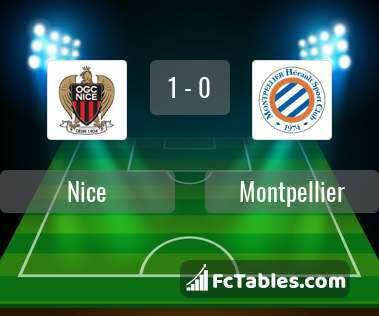 Nice did not win the match from 2 games. from 3 matches team have not been defeated. The most goals in Ligue 1 for Nice scored: Alassane Plea 14 goals, Mario Balotelli 14 goals, Pier Lees-Melou 4 goals. Players with the most assists: Alassane Plea 3 assists, Pier Lees-Melou 6 assists. Team Montpellier is located in the middle of the table. (7 place). Form team looks like this: In the last 5 matches (league + cup) gain 6 points. From 2 matches can't win a match. Montpellier has not been defeated away from 5 matches. 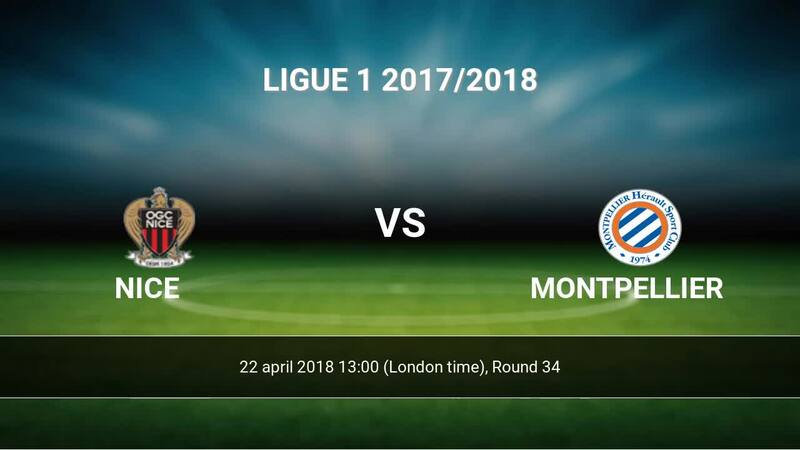 The best players Montpellier in Ligue 1, who scored the most goals for the club: Giovanni Sio 10 goals, Isaac Mbenza 6 goals, Ellyes Skhiri 4 goals. Most goals developed: Giovanni Sio 2 assists, Isaac Mbenza 1 assists. Direct matches: Montpellier won more direct matches. 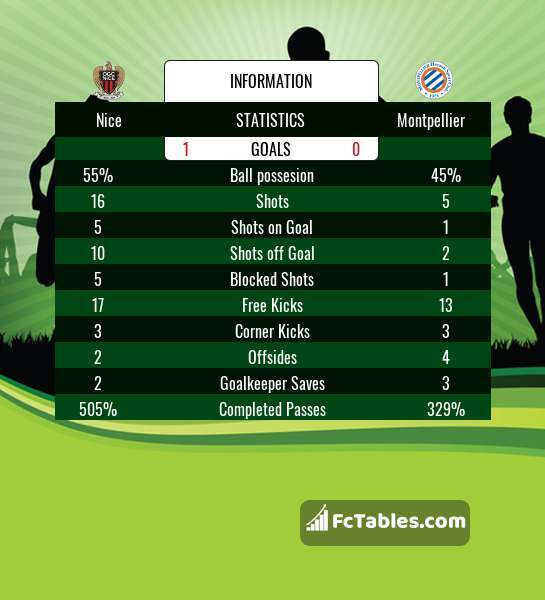 Nice won 7 matches , Montpellier won 12 direct matches, was a 7 draws. In 14 matches the sum of the goals both teams was greater than 2.5 (Over 2.5), and 21 matches teams scored more than 1.5 goals (Over 1.5). In 16 matches the both teams scored a least one goal (Both teams to score).